I told my Mom two weeks that while I was home in Chicago, I would come to a Pilates class with her. 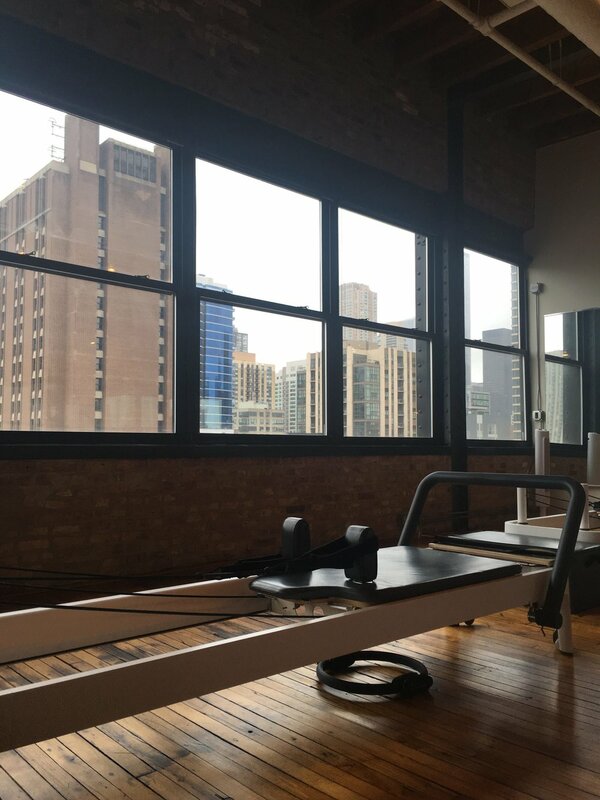 I heard it was a great workout and I knew that they used strange looking machines called “Reformers”, but other than that I had no knowledge of what pilates was. 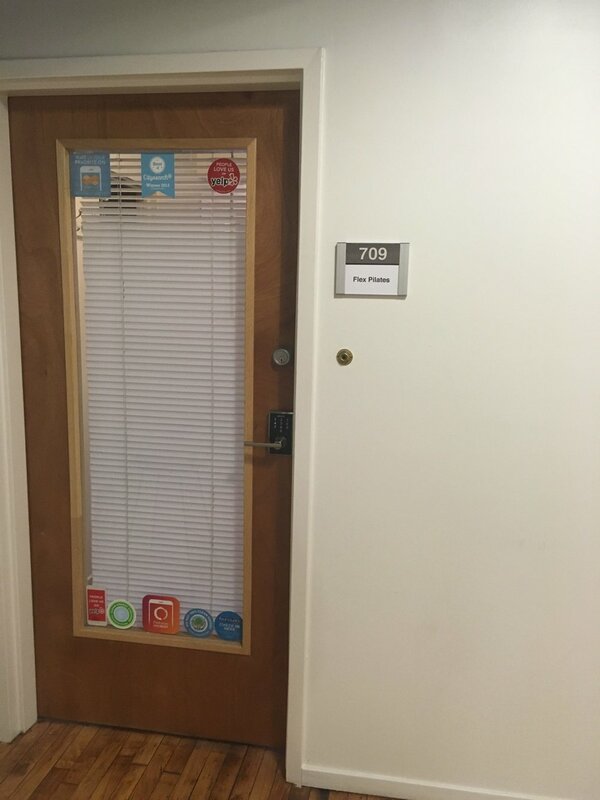 I had no expectations going into the class of what to expect or what we would actually do for 50 minutes, but I am always open to discovering new workout options! 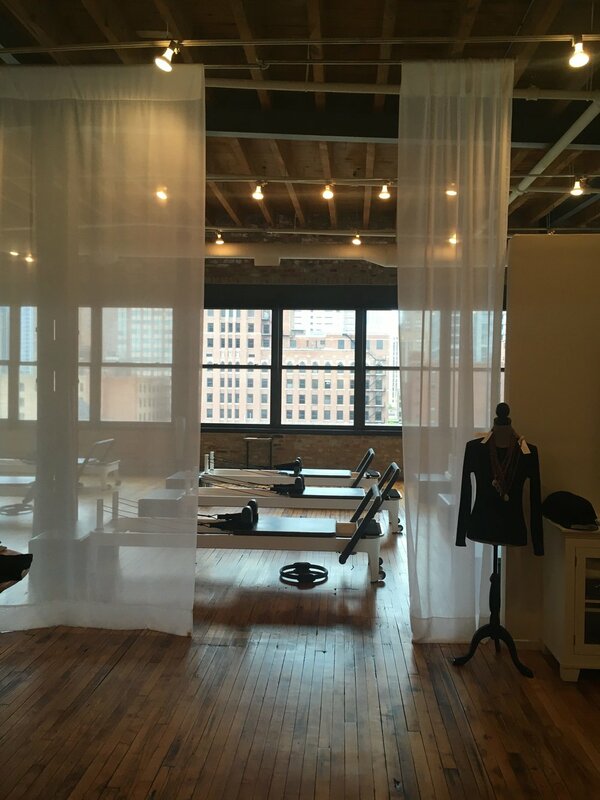 To my surprise, not only was the class a great workout, it was really fun and had some great music!When my Mom and I arrived at Flex Pilates Chicago, we entered a beautiful loft space that was full of natural light and exposed brick in the Near North Side neighborhood. We were greeted at the reception by Molly, our instructor for the class. After putting on my Great Soles toe socks, we climbed on our reformers, adjusted our weight, and started our initial stretching. At first, I thought how difficult could the class be since the stretching started off with a simple hamstring stretch but our next sequence involved a crazy ab routine we did while lying on our backs that left me wincing in pain. I was hooked! We also worked our hamstrings and glutes using the foot bar at the head of the reformer. We then transitioned into a variety of exercises that we did while standing up. All of the exercises allowed me to target and isolate smaller, less frequently used muscles in my abs, legs, and glutes. What I liked is that we were able to target different muscle groups from different angles. Switching up the way and the angle in which you hit different muscle groups is critical for muscle growth! It is a little known key to success. Another thing I enjoyed about the class was that it stretched me out. I have tight hips and hamstrings so any workout that works on strengthening while stretching is a big plus for me. The 50 minute class flew by and the music was great at keeping me motivated and engaged throughout the class as Molly played songs from artists such as Louis The Child and Jeremih. Overall, I think that pilates is an amazing complementary workout to what you maybe doing already. I would not recommend it being your only workout, but it is a great way to build strength, stretch out, and work smaller muscles that get dominated by larger muscle groups. Pilates is all about isolation. 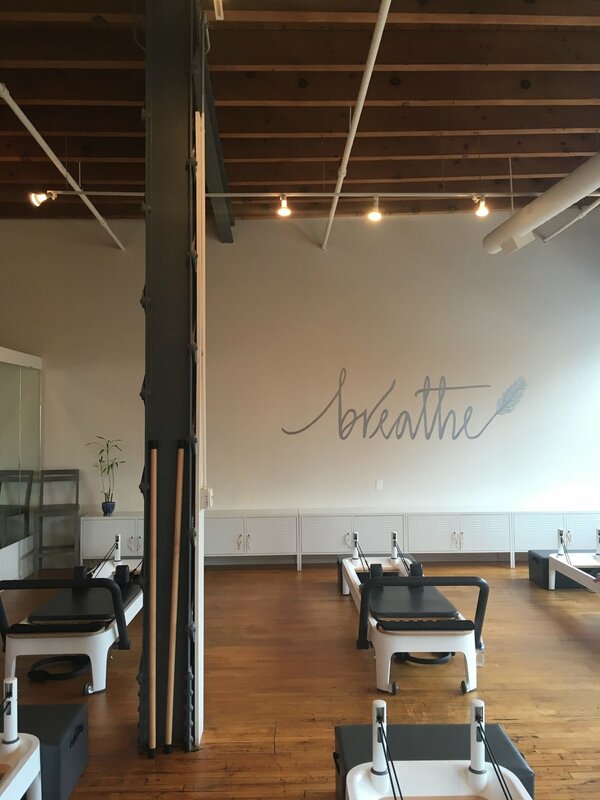 I think Pilates will be a lot like yoga because at the moment not a lot of guys do Pilates, even though a lot of their favorite athletes such Antonio Brown and Martellus Bennett use Pilates as a way to increase flexibility in the NFL offseason. So my advice to any guy out there that is on the fence about going to a Pilates class is to go with your girlfriend, mom, friend, or by yourself and discover a whole new way to physically and mentally challenge yourself!